Our 300 series has increased strength and corrosion resistance for applications in harsh environments, meeting the requirements for your stainless tube projects. 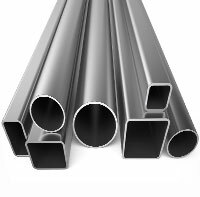 ASTM standard specifications include A213 seamless tube, A269 welded tube, A511 seamless mechanical tube and A554 ornamental tube, with annealed and pickled as well as bright annealed manufacturing options. Tube cutting and polishing services customize your order to job specifications.